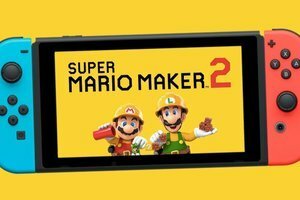 Nintendo has announced Super Mario Maker 2 for Switch. Metroid Prime 4 is in the works as well, but with development having been handed off to Retro Studios, who rebooted the project, it's safe to say we won't see a new Metroid for at least a year. Outside of that, the Direct will be a whopping 35 minutes long. Luigi's Mansion 3, Daemon X Machina, and Switch installments of Animal Crossing and Pokemon have also been announced for this year, although none of those have received release dates yet. One certainty is that we'll be receiving more detail on the elusive Fire Emblem: Three Houses. Join us, won't you? Finally, Nintendo will also be streaming the Direct on its website, and while it's only embedded the YouTube stream, you can head over there if you want to get the full Nintendo effect. For now, keep reading for everything we know about the game so far. We know how much Nintendo can pack in in such a short space of time, so get ready to have your hearts broken when they don't reveal the Jet Set Radio Future remaster we've all been waiting for... Visit the Nintendo.com game page here. Metroid Prime Trilogy could be coming to Switch very soon indeed. That doesn't necessarily stop Nintendo from making a surprise 3DS announcement, but that seems unlikely given what the company has already said about the Direct. "We have made a decision to re-examine the development structure and change it".